The earliest evidence of human settlement in the Sorrento Peninsula indicates Greek and Phoenician activity, however, this fertile land was soon taken over as a Roman colony, until the final collapse of the Empire. In the Middle Ages (c. 9th century AD), Sorrento managed to release herself from outside control, including Naples, and thus the Duchy of Sorrento was born. 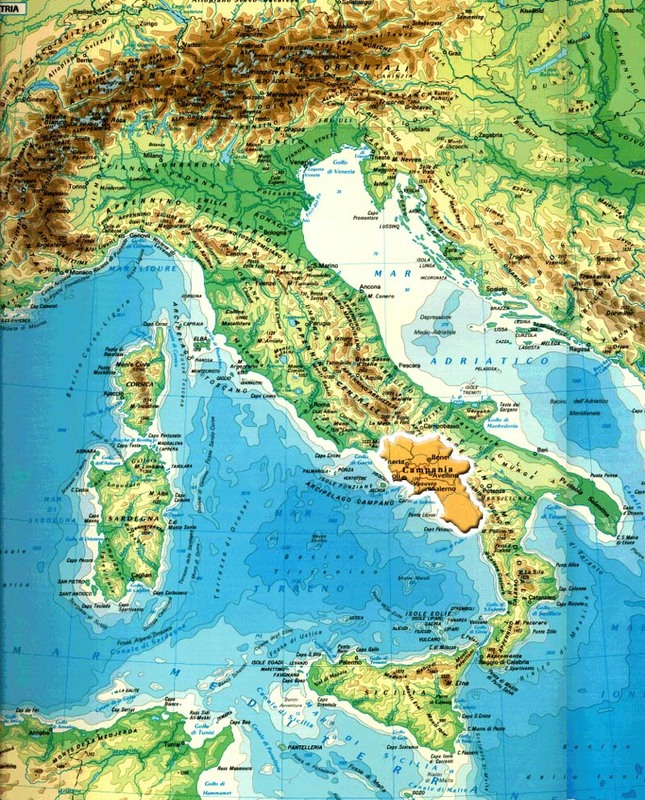 The Duchy of Sorrento covered the whole of the peninsula, and was soon to become a prosperous economy based on ship chandlery, and the sale and production of citrus fruits and wine. The Duchy later (1100) relinquished its independence to become a protectorate of Normandy, with the advantage of receiving protection against attacks from pirates and the Lombards. 1544 is an important date in Italian and European culture, for it is the year that the poet Torquato Tasso, was born in Sorrento, renowned author of "Jerusalem Delivered" and other poems. Amalfi was originally a Roman colony, which gained more and more importance over the centuries, and after the fall of the empire it became a diocese (596 AD). Later, the whole coastline, along with Amalfi, became property of the Duchy of Naples, until 839, when the city declared its independence and became an autonomous republic. The Maritime Republic of Amalfi was soon to become an important maritime commercial center, trading with the whole of the Italian peninsula, North Africa, the Middle East and the Byzantine Empire. The Republic bought spices, precious stones, carpets and fabrics from the Arabs, and sold them throughout Italy. Soon, Amalfi's wealth not only attracted the attention of pirates, who were promptly driven back by the city's army, it also became the target of neighboring states. In 1131, after a long succession of attacks, Amalfi was annexed to the Kingdom of Sicily, although still retaining a certain degree of autonomy in the management of maritime commercial affairs. Gradually, commercial relations with the East began to dwindle, checked by the policies of the Normans and Pisans, who landed on the coast in 1135, to plunder and destroy whatever they found there. The opulence of the Maritime Republic was by now but a memory, and maritime trade was limited to rare contacts with Southern Italy. A brief scientific and cultural revival occurred around the 1200s, the century in which Giovanni Gioia of Amalfi invented the compass. Over the following centuries, Amalfi's population dropped considerably, mainly due to the continuing attacks on the zone by pirates. But the greatest disaster hit the region in 1643, when the plague took the lives of a third of the coastal population. One of the results of this tragedy was the progressive impoverishment of the area, aggravated by the interruption in maritime trade. The economy began to converge on the cultivation of olives, vines, and citrus fruits and on the crafts industry. Around the second half of the 19th century the Amalfi coast began its revival thanks to tourism, and artists such as Ibsen and Wagner drew inspiration from the region for some of their famous works, further fanning the curiosity of travelers to the coast.